Just after the Civil War, a preacher named Gideon Swayne journeyed south from Random, Illinois to minister to the newly freed slaves. In the bitter prejudice of North Carolina, and the magic of the Great Dismal Swamp, he made a home... that home was taken from him in hatred, and in violence. The Pope plantation is mired in the "old ways," migrants work their land so they don't have to get their hands too dirty. There are older ways than the Pope family, built on slave-labor and mired in their own past can imagine. 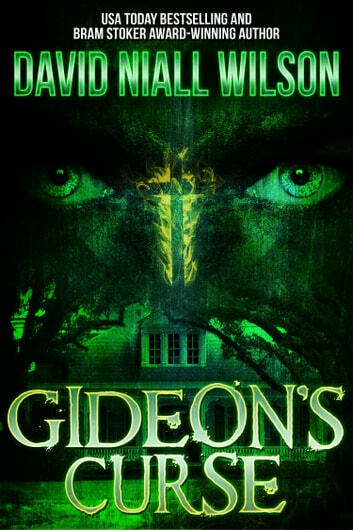 Their farm hand, Gideon has seen his mother’s reflection in the slime-pools of the bog. He’s heard his great-grandfather, the first Gideon at Preacher’s Marsh, chanting on the night breeze. He has seen eyes, glowing green and glittering with hatred, lining the trees along the fields and peering from the trees. He has heard voices like drumbeats chanting in the night. The dead are rising, and they are coming. Soon. 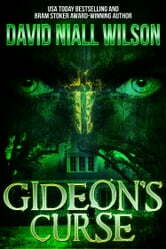 Gideon's curse is a novel of history. It's a novel of freedom, slavery, magic and romance. It's a glance into the violent past of the deep south, and the hope of a better future. Fabulous book...Just couldn't put it down...I will remember it as a favorite for years to come...I highly recommend it! !